Now that the G1 Climax is over and done with, time to return to the promotions that I cover as we return to All Japan Pro Wrestling. I believe the last time I covered them was when Kento Miyahara retained the title against Dylan James and Zeus would become the next challenger for the Triple Crown Championship, and luckily for you that this is the show we’ll be looking at today. I just realized that I still don’t have a rating system yet and after talking to Andrew, figured out which one I could do that doesn’t involve stars or those snowflakes. I am going to be ranking them by regular wrestling podcast people or whoever Conrad Thompson partnered with also, and each person will be a ‘star’, here is who will be who. Anyway, why don’t we just…dive right in? Review: Our opening bout appears to be a regular old exhibition tag match with some people thrown together as we got Yoshitatsu and Ultimo Dragon in a team and we got Shoichi Uchida from DOVE making an appearance here tonight as well. I also loved how Carbell Ito was the only one that came out to music and it also appears that the wrestlers are giving out bags of snacks to the audience, that’s nice of them actually. Review: Up next, we got another eight-man tag match and this is involving people who are involved in the Junior Tag Battle of Glory tournament and we got some nice surprises here like Masaaki Mochizuki and Shun Skywalker from Dragon Gate being apart of this match to hype up the league due to them being apart of it. 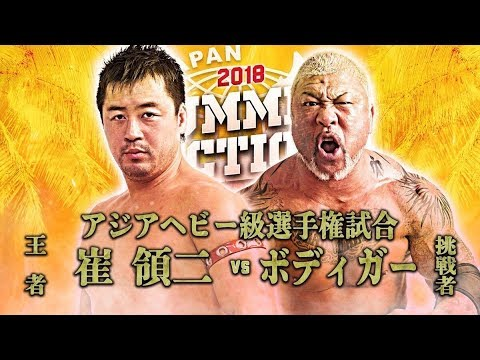 I’ve been very critical of the junior division in All Japan since it’s the weakest division in the company right now and I’m hoping it could shed some light on potential contenders for Atsushi Aoki since he has no challengers right now for his title. Oh, snap, Shun rocking some new gear and not wearing that full body suit anymore, good because that was pretty ugly on him and like this new look much better. I don’t know what’s going on with Black Tiger abusing Yohei Nakajima like this since that’s his own partner, but I’m just gonna roll with it. Shun and Masaaki were the saving graces for this match just by how good they are and especially Shun from how far he’s come and felt like they would fit right in if Dragon Gate didn’t need them still. Still didn’t expect Massaki to be considered junior since he was Dragon Gate’s top champion a couple months ago and then again the majority of the Dragon Gate roster is pretty small like a junior heavyweight, so it makes sense. I wouldn’t mind some of Dragon Gate going over to help out the junior division since a lot of them fit that weight class and are incredibly athletic as well, can definitely shed some new life to that division. Anyway, the match was slightly average except for Masaaki and Shun along with Tiger abusing his own partner. Koji would apply the Katagatame on Atsushi to make the champion tap out as Koji won it for his team. After the match, Koji Iwamoto claimed that he was going to win the Junior Tag League and once he does, he wants a match against him for the Junior Championship. Review: We got our first singles match for the night as former Triple Crown Champion, Joe Doering is set to take on Gianni Valletta who has been starting his tour here early on in July when TAJIRI brought him over to go for the Tag Team Championships which they also lost. I can’t wait to see how he does against the former champ. Can Gianni get a big win over Doering or will Joe squash him like the rest of his opponents? I really felt like Joe wasn’t full trying in this match and it just came off incredibly slow and stale which threw the match off quite a bit in my opinion. Gianni is someone that is pretty average as well, but he did show some promise since he has a pretty good look and had signs of growth he could do since he’s only been wrestling for a few years. I wouldn’t say it was a complete squash match, but still had an average amount of time together in the ring with seven minutes as Gianni would try to use his heel tactics to grab his chain to try and hit Joe with it, but he was caught with a Diving Body Press and a Revolution Bomb to get another easy win for Joe Doering. 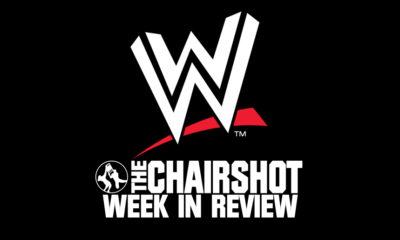 Rating: Tony Schiavone and a half. 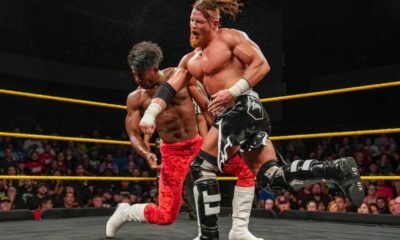 Review: We got our current World Tag Team Champions, The Violent Giants teaming up with Billy Ken Kid as they take on former Tag Champion, Dylan James and his partners, Keiichi Sato and future star, Jake Lee. Dylan looking to get a victory over the Violent Giants so he could get a rematch for those titles and maybe with a new partnership with one of his fellow teammates if they do somehow win tonight. Dylan looks to be slowly finding his stride after his match with Kento Miyahara a couple of months ago and it’s a good thing to see this progression of his ability and if he keeps it up, he could be much better in the ring. This tag match was very solid with Violent Giants proving why they’re one of the best tag teams in Japan right now and the growth of Jake Lee, who I still considered the future of AJPW next to Kento Miyahara. Plenty of high impact between both of these teams with Shuji showing why he’s one of the best there, plus the interactions with him and Dylan weren’t too shabby either while Jake was mostly focused on Suwama and it feels like it could be a big seller if done right since you have Suwama who was the former ace of the company and a guy on the rise, so it would be a neat passing of the torch if they wanted to go that route. Near the ending of the match, Shuji and Dylan were in the ring as Shuji hits Dylan with the Dragon Suplex and then a Running Knee while Suwama held Jake down with a Sleeper Hold to prevent him from interfering as Shuji hits the Fire Thunder to win the match. 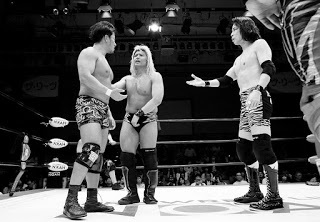 After the match, Yoshitatsu would come out to make a challenge to both Shuji and Suwama for the titles and said his partner would be Kento Miyahara again. For those that don’t know, Kento’s goal was to be Triple Crown Champion and Tag Team Champion at the same time to make it so he would be the first to hold five titles since the tag team is considered two per belt but he would always hold onto one or the other, not fulfilling his goal and wants to accomplish it soon. Review: We get an All Asia Heavyweight Championship match with Ryouji Sai defending the title against The Bodyguard. 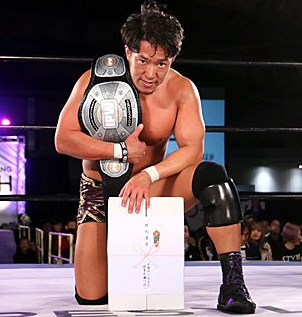 The All Asia Heavyweight Championship has been inactive since 1995 and it came back in January of this year where Ryouji would defeat Bodyguard in the finals to win the title. 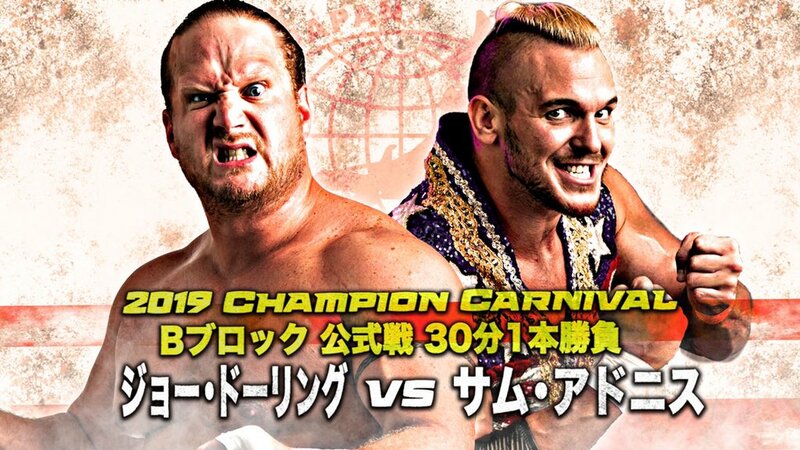 In the Champion Carnival, Bodyguard scored a victory over him to set up this title match here due to them having a win over each other and would be time to settle it here. Can Bodyguard win the title or will Ryouji retain it once again? What could I say about this match? Well, let’s start with the beginning and it started off really strong since it was mostly brute force with each other to try and beat each other down and it worked for Bodyguard when he kicked Ryouji to the outside and started mauling him down to the point where Ryouji looked like he was kinda knocked out for a bit there. This was where they started to tell more of their story with Ryouji being unable to get up most of the time, even when Bodyguard went for an Irish Whip and Sai just collapsed just from the beating he took. After that the match starts falling apart, soon as Bodyguard would hit his first Spear the match would begin to get really slow and sloppy and it’s a shame too because I was actually really enjoying it. The Bodyguard would start to hit his power moves over to try and get the victory like his Elbow Drop off the top rope but Ryouji would start kicking out of it all. The Bodyguard went up to the top rope again only for Ryouji to get back up quick enough to hit a superplex for a two count. The Bodyguard would start to hit a second sloppy Spear for another two count and goes for his Bounce move and he completely messed that up big time to win the All Asia Heavyweight Championship. I would’ve rated this a little bit higher if it wasn’t for the fact that the poorly paced and sloppy second half took away from the match. The Bodyguard is the new champion and got his revenge over Ryouji at the end of it all and I don’t know where this run is going to go but should be at least interesting. The Bodyguard is like Joe Doering, he can go when they show it and are highly motivated but it’s so far in between that there’s hardly any consistency with their quality of matches and it just hurts them. 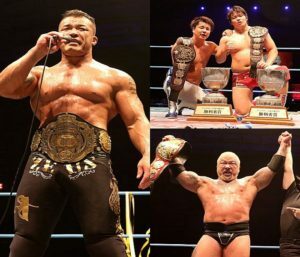 Review: We first had the All Asia Heavyweight Championship match and now we got the All Asia Tag Team Championships on the line with a rematch from the June 12th show where Jun Akiyama and Yuji Nagata defend the titles against Naoya Nomura and Yuma Aoyagi. The last time they both fought, they had a great tag team match and they would be able to retain the titles, but NEXTREAM said they would want a rematch for the belts soon and we’re getting that tonight. Can they get that big win over these two legends or will they make lightning strike twice on them and still come out on top? 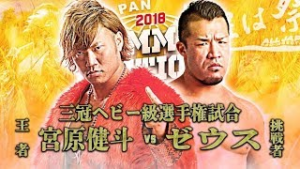 There is a small little story here between Yuma and Jun where Yuma was never able to pin him directly and would always come up short when they’re in the same ring together, but he is looking to change that today during the match and from the looks of it, he’s going to need a lot of luck. Jun and Yuji are just too tough for our two rookies here as they just have the power, the experience, and just better than them overall, but Naoya and Yuma have that determination to never give up and make sure they will win this time, and that story is what sells for this match since you know how important it is to them to prove themselves against some of Japan’s best in this match. I loved the interactions between Uncle Jun and Yuma since I mentioned just a while ago about how Yuma never defeated him and you can see the intensity in their interactions together and it’s mostly them in the match together to sell the story between the two much better. 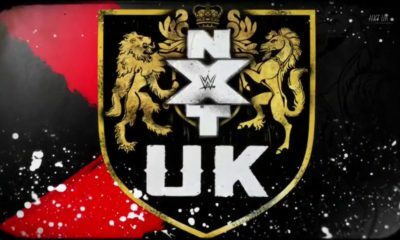 I loved their first bout together better since it showed great action and storytelling, but this was more focused on the story of the match and that part was told better here than the first match, but I would give the first match the better overall. Jun would go back and forth with Yuma with the knees and Jun catches him with an Exploding Suplex for Naoya to break it up before getting tossed out by Yuji, so Jun tries to do it again and he hits another Exploding Suplex but for him to kick out of it this time! Yuma is all fired up now and hits a knee on Jun to daze him as he hits the Rock Star Buster on him to go for the pin and we have new champions! Yuma was finally able to get the direct win over Jun Akiyama in this match and just seeing them fight together gave me a little bit of doubt, but it was the right time for them to drop the belts to the younger generation. Congrats to NEXTREAM on winning the belts, they worked really hard and are only going to get better from here. Review: It is now time for our main event with a highly anticipated match as we have Kento Miyahara defending his Triple Crown Championship against Zeus. 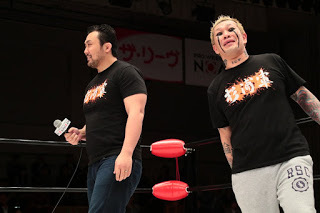 Sometime in March before the Champion Carnival happened, Zeus would get the direct win over Kento and said he had plans on winning the Carnival and to take the championship, but Zeus would fail to win the tournament and had to wait a little bit to build himself back up until he was ready. In June after Kento retained against Dylan James, Zeus came back out to say he was now ready to fight him for the title since he still did have that clean win over him and wanted to get mentally prepared for this match. Can Zeus win the belt in his hometown of Osaka or will Kento knock him down once again? Normally the crowd would mostly back up Kento but with the combination of being in Zeus’ hometown and how over he’s been with the fans lately, they were more supportive of him over Kento. The two start off a little bit explosive with some back and forth action with Zeus showing his strength and athletic ability while Kento just showed his intelligence in the ring to try and outmaneuver Zeus whenever he can. Zeus would hit a Diving Shoulder Tackle and then kips up and takes him outside to do a little bit more damage to him, but Kento would throw him over the guardrail and attempts a kick until Zeus caught his leg and slams it on the edge of the guardrail to hurt his leg a little bit. Zeus then had him by the entrance ramp to go for a Lariat but gets caught with a kick to the midsection and hits a DDT onto the ramp to do some damage to his head and that doesn’t stop there as he hits some Headbutts to knock him down nearly dazed, and tops it off with putting his head on the turnbuckle post to hold him there while he laughs in front of the camera until the referee pulled his hair to take him off. Zeus would start selling his head more and get dizzy for the majority of it while Kento finds an opening to try and take care of him and attempts a German Suplex onto the ring apron but Zeus fights him off to get some breathing room, but it doesn’t last long as Kento ran up to him to hit a Brainbuster to the outside. Kento would hit another Blackout and does for just a regular German Suplex Hold as Zeus kicks out of that one and starts to get a small little comeback with some stiff Lariats to turn him nearly inside out, then hits a Chokeslam before going for the Jackhammer and he hits it but Kento kicks out of it! Match has been incredible and loving the back and forth action and the crowd being behind it as well makes it all the more exciting since you can’t tell who was gonna win the match and it could go either way. Kento would hit him with a few more Blackouts on his head to get him down as he goes for the Shutdown German Suplex Hold, but Zeus would break out of it once again by kicking out his bad leg, but gets caught with more Blackouts on his head. Kento would get all fired up to hit him with one more Blackout once Zeus got to his knees and Zeus would still kick out at two! Kento would charge at him one more time but Zeus catches him with not one but two Lariats and Kento would kick out at two, but Zeus quickly picked him up to hit the Jackhammer and we have a new Triple Crown Champion! Zeus has finally done it, he has won the belt that has alluded him for years and it happened in his hometown of Osaka, Japan. Zeus has been with the company since 2014 and has been making a name for himself there in his eleven-year career. Zeus would get emotional after the match and rightfully so as he thanked everyone is Osaka for their endless support and he hopes to be a good champion. Zeus would end the show by having a kid in the ring and would carry him over his head to show that he was the champion of the people. Congrats to Zeus for finally winning the big belt, he’s definitely earned it and I’m excited to see where his reign would go. 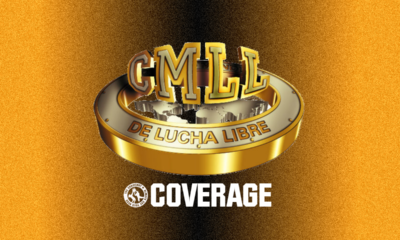 Overall: The undercard was rather weak, but the last two matches were the best part of the show despite an anti-climatic Asia Heavyweight title match also. We got an emotional main event with Zeus getting the big belt finally. We found out that Zeus’s first title defense would be against Shuji Ishikawa and I can’t wait to see how that one turns out.